A round of clashes broke out at dawn Monday between a group of Palestinian youngsters and the Israeli occupation forces (IOF) in Salfit. Local sources said Palestinian young protesters have stood on guard to the invading IOF soldiers, who attacked the unarmed youths with randomly-shot spates of rubber bullets and tear gas grenades. The IOF further summoned three Palestinians, including a father and his 12-year-old son, in Bethlehem city for interrogation. The IOF troops also raided and wreaked havoc on a number of Palestinian civilian homes in al-Khalil’s town of Sourif. A series of military checkpoints have been randomly pitched at the main entrances to al-Khalil city, where Palestinian vehicles have been provocatively searched, resulting in traffic congestion. Palestinian passers-by have also reportedly been subjected to physical and verbal assaults by the IOF soldiers deployed at the newly-pitched roadblocks. 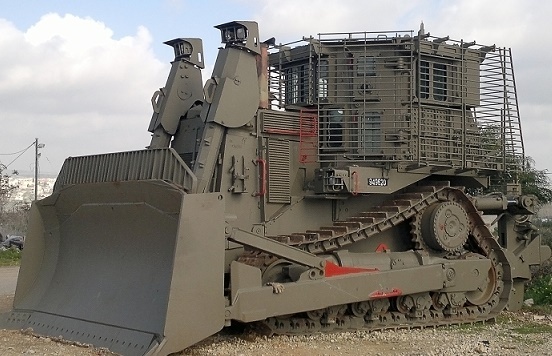 A number of armored Israeli military vehicles carried out, on Monday morning, a limited invasion into Palestinian lands, southeast of Khan Younis, in the southern part of the Gaza Strip. 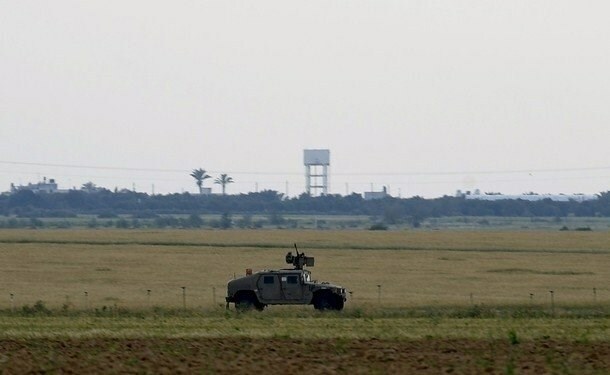 Media sources in Khan Younis said the soldiers first opened fire from military towers in the Kissufim base, across the border; no injuries were reported. Following the shooting, at least four Israeli army bulldozers and a few vehicles, stationed in the Sofa army base, advanced nearly 200 meters into Palestinian lands, and conducted military searches in the area. In related news, Israeli navy ships opened fire on a number of Palestinian fishing boats in Gaza territorial waters, close to the shore, near Rafah in the southern part of the coastal region. The attack forced the fishers back to shore; the fishers managed to escape the attack physically unharmed. The latest assaults are part of repeated Israeli violations against the Palestinians, their homes and lands, in different parts of the impoverished, war-torn, besieged coastal region. At least five Palestinian youngsters sustained wounds afternoon Saturday after they were hit by the shrapnel of sound bombs unleashed by Israeli special forces on a rally held in Silwan to celebrate the qualification of the local football club for the professional league. Head of the administrative body in the Silwan football club, Jawad Seyam, said the attack was launched on a car rally initiated from al-Ram village down to Silwan. Jerusalemite youths got out of their cars to celebrate their club’s qualification moments before Israeli armed forces cordoned off the youngsters and attacked the rally-goers with heavily-shot spates of stun grenades in an attempt to disband the demo. Five Palestinian youngsters were treated on the spot for wounds they sustained after they were hit in their limbs, heads, and faces. One of the casualties, identified as Ahmed Ayyash, the official in charge of the social department at the Silwan club, was transferred to a local clinic to be treated for a head injury. Clashes broke out after the Israeli squads attacked the non-violent rally-goers, who responded by hurling stones at the assailants. 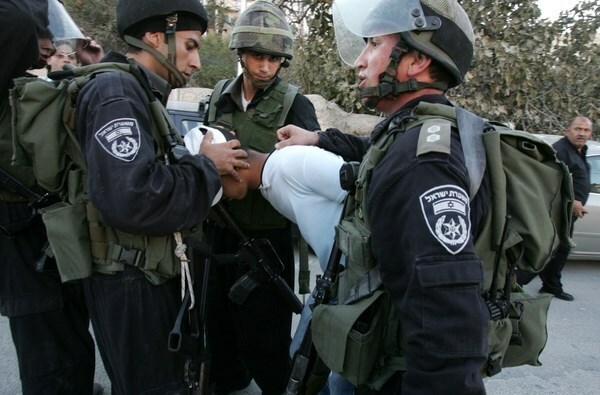 The Israeli occupation police arrested last night five Palestinian young men following confrontations in Ein Loza neighborhood in Silwan district, south of the Aqsa Mosque. 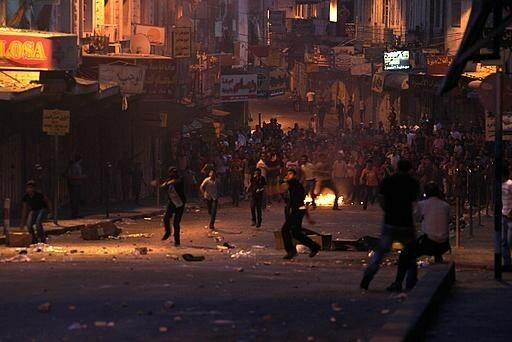 The Wadi Hilweh Information Center said that violent clashes broke out on Friday night between Israeli policemen and young men in Ein Loza and led to arrests. The Center added that an Israeli jeep caught fire during the events when some angry young men threw Molotov cocktails at it. Local sources reported that the invading troops used live and rubber bullets intensively to disperse the young men and fired stun grenades at passing vehicles in Ein Loza. The young men arrested as a result of the events were identified as Hani Shuweiki, 27, Basel Shuweiki, 20, Amjad Shuweiki, 16, Tawfiq Shuweiki 17, and Mahmoud Ashour, 16. Earlier, four young men had been arrested on Thursday night and Friday afternoon in Salahuddin neighborhood and the Old City of Jerusalem. 13-year-old Zakariya al-Julani, from Shuafat refugee camp in east Jerusalem, has lost his left eye at Hadassah Ein Kerem hospital as a result of his exposure to a gunfire attack a few days ago by an Israeli female soldier near the camp. Zakariya had suffered his eye injury immediately after he and other students left the camp's UNRWA school last Tuesday when a female sniper opened fire with no reason from a watchtower at the military checkpoint of Shuafat. There were no violent events or stone throwing in the area where the shooting incident took place. The child was then rushed to Hadassah hospital where he underwent surgery to remove a rubber bullet that penetrated his left eye area and to stop the bleeding. According to his family, the Israeli police investigated the incident and admitted that the situation in the camp and its checkpoint was calm. However, the soldier who committed the crime has not been arrested. During the past two weeks, Israeli soldiers at the same watchtower opened fire at two children and caused them rubber bullet injuries. Medical sources have reported that one Palestinian was injured, and dozens suffered the effects of tear gas inhalation, after Israeli soldiers used excessive force against Palestinian, Israeli and international nonviolent protesters holding the weekly protest against the Israeli Annexation Wall and settlements, in Bil’in village, near the central West Bank city of Ramallah. This week’s protest also comes to mark the Palestinian Land Day; the Palestinians have been marking Land Day annually since March 30, 1976, when the soldiers shot and killed six Palestinians during demonstrations protesting Israel’s decision to illegally confiscate thousands of Dunams of Palestinian lands. 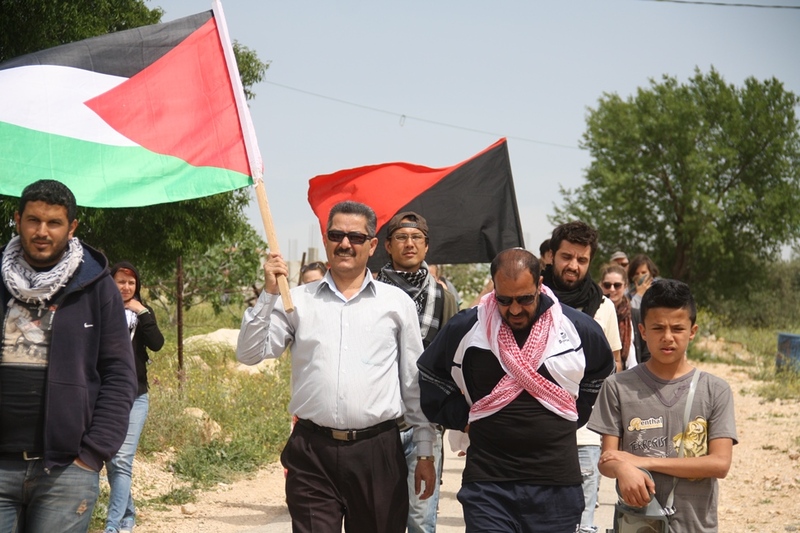 Israeli and international peace activists accompanied dozens of Palestinians in the weekly protest; the protesters carried Palestinian flags and marched chanting for the liberation of Palestine, national unity, and an end to Israel’s violations and assaults, in addition to calling for the release of all political prisoners. Members of the Popular Committee against the Wall and Settlements, in occupied Jerusalem, also participated in the protest. The protest also marked the International Day of Soldiery with the Palestinian Detainees, especially the sick detainees who are denied access to proper and specialized medical attention and treatment. The protesters called on local, regional and international human rights, and legal, groups to intervene and oblige Israel to end its violations and crimes against the detainees, and to release them. The Popular Committee against the Wall and Settlements, in Bil’in, said the soldiers fired rubber-coated metal bullets, gas bombs and concussion grenades on the protesters as they peacefully marched towards Palestinian lands and orchards. It added that the soldiers ambushed the protesters between the olive trees, and opened fire on them wounding Kifah Mansour, 30, with two rubber-coated metal bullets in his legs; he was moved to the Palestine Medical Center for treatment. Dozens of residents, Israeli and international peace activists, suffered the effects of tear gas inhalation. On March 30 1975, Israel decided to illegally confiscate thousands of Dunams of Palestinian lands, leading to massive protests and clashes, in addition to general strikes, extending from the Galilee to the Negev, before spreading to every part of Palestine. The army shot and killed six Palestinians, injured dozens, and kidnapped hundreds on that day. The day became an annual event marked by the Palestinians to protest the ongoing Israeli violations, and its illegal confiscation and theft of Palestinian lands. Israeli soldiers attacked, on Friday, the weekly protest against the illegal Annexation Wall and settlements, in Nabi Saleh village, near the central West Bank city of Ramallah, wounding five Palestinians, including two by live ammunition. 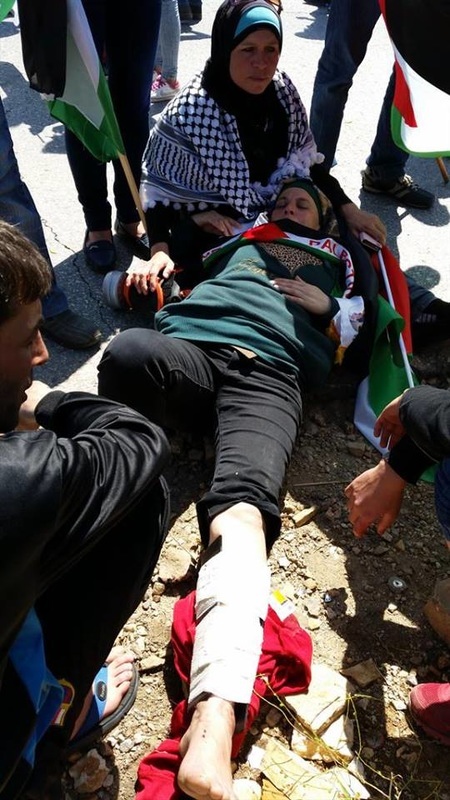 The Media Office of the Popular Resistance Committee in Nabi Saleh said Manal Tamimi suffered a fractured leg after the soldiers shot her with live round. It added that another Palestinian, identified as Mohammad, was also shot with a live round to his leg, and that the bullet hit a nerve; the resident was instantly admitted to surgery in the Palestine Medical Center, in Ramallah. In addition, three children were shot with rubber-coated metal bullets, and received the needed medical treatment. The Popular Committee in Nabi Saleh said this week’s protest also comes to mark the Palestinian Land Day (March 30), and that the protesters chanted against the ongoing illegal Israeli occupation, and Israel’s colonialist activities and assaults against the Palestinians in different parts of occupied Palestine. 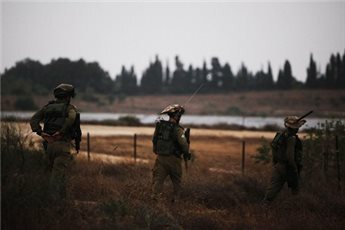 Israeli forces injured three Palestinians after opening fire on them from the Gazan border, east of Khan Younis, on Friday. Witnesses said the three were shot at in the al-Sanati area east of Khan Younis, according to Ma'an News Agency. One was hit in their lower extremities while the injuries of the other two are not yet known. Israeli forces have repeatedly opened fire on Palestinian civilians near the border since the ceasefire agreement signed Aug. 26, 2014 that ended a devastating summer long assault on the region by Israel. The attacks come despite Israeli promises at the end of the ceasefire to ease restrictions on Palestinian access to the border region near the "security buffer zone". The Israeli occupation forces (IOF) overnight Thursday apprehended two Gazan youths near the border fence separating the besieged Gaza Strip from the 1948 occupied territories. Eyewitnesses told the Palestinian Information Center (PIC) that the IOF opened fire intensively at three Palestinian young men after they neared the border fence, noting that two of them were detained and one managed to escape the area. A number of Israeli military jeeps suddenly arrived in the area amid heavy gunfire shortly after capturing the young men. 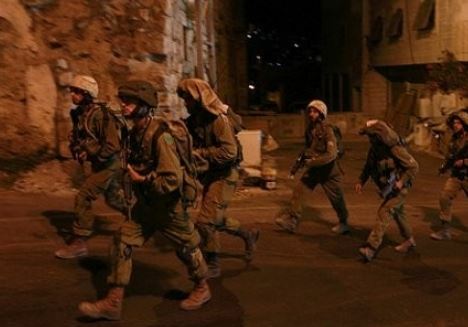 Israeli soldiers kidnapped, on Thursday at dawn, five Palestinians near the central West Bank city of Ramallah, and injured one Palestinian near Bethlehem. Army sources said a soldier was stabbed on a roadblock, near Salfit. Several Israeli military vehicles invaded Deir ‘Ammar village, near Ramallah, after besieging it, and surrounded a number of homes, before breaking into them, and kidnapped the five Palestinians. Local sources said the soldiers violently searched the invaded homes, causing property damage. The kidnapped have been identified as Khalil Abdul-Latif Ahmad, Abdullah ‘Omar al-Khatib, Ibrahim Hashem Badha, Omar Mahmoud Dar Mousa, and his brother Mos’ab. In addition, soldiers shot and injured Yousef Sayel Sa’id, 24, after the army invaded the Old City of al-Khader, south of Bethlehem. 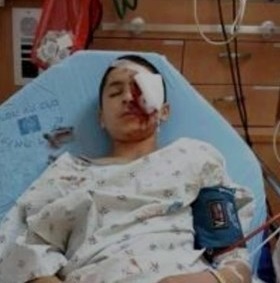 Sa’id was shot by a rubber-coated metal bullet, and suffered a moderate injury, while standing on the rooftop of his family’s home; he was moved to a hospital for treatment. In addition, Israeli army sources said a soldier was moderately injured, after being stabbed by a Palestinian, on a military roadblock, near the central West Bank city of Salfit. The army said the Palestinian stabbed the soldier with a sharp object, before the soldiers arrested him. Israeli Occupation Forces (IOF) opened machinegun fire at Palestinian farmers and houses in Central Gaza on Thursday morning. 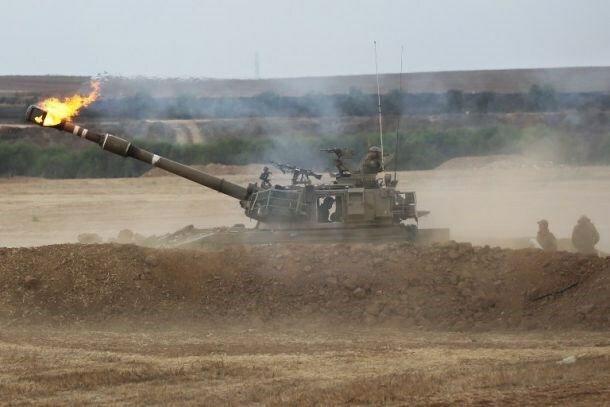 A Palestinian eyewitness said the IOF soldiers stationed in military bases and vehicles to the east of al-Bureij refugee camp in Central Gaza opened machinegun fire at Palestinian farmers and houses in that border area. No casualties were reported. The shooting coincided with unusual moves of the IOF soldiers within the borderline in addition to intensive flying of surveillance drones. Cairo-brokered truce accord signed in the wake of last summer’s offensive on the besieged coastal enclave, which killed over 2,300 Palestinians, mostly civilians. Two Palestinian young men were slightly injured as Israeli Occupation Forces (IOF) broke into Fara’a refugee camp east of Nablus at dawn Thursday. 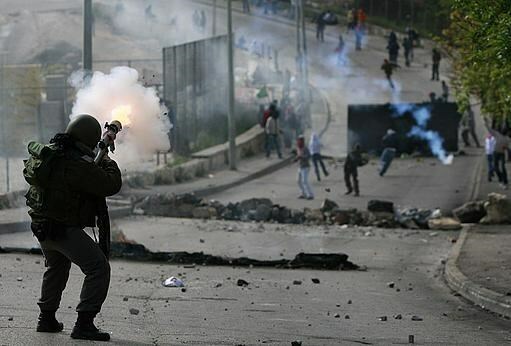 A heavily armed Israeli force stormed the refugee camp amid heavy fire of tear gas bombs in the early morning hours, eyewitnesses told a PIC reporter. Violent clashes broke out shortly after the raid between local residents and the invading forces. 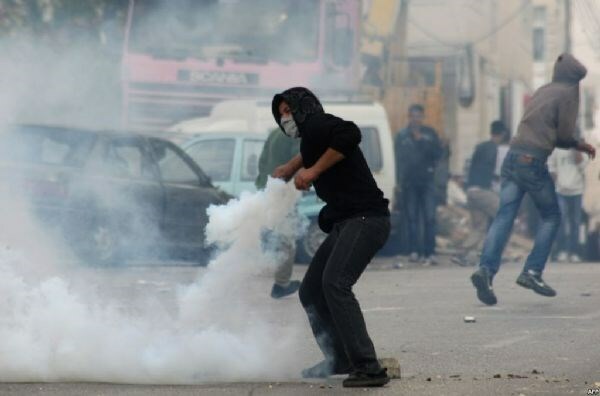 Two youths suffered minor injuries during the clashes and were transferred to hospital in stable condition, the sources added. Israeli forces, Wednesday, injured a child during a raid on a West Bank Bedouin village, during which they also confiscated solar energy panels donated by a local sustainability organization, according to an official. A prominent Fateh party member in Jahalin, an area in the central West Bank near Abu Dis, where large numbers of Bedouins live in small villages, said that Israeli soldiers raided the encampment near al-Khan al-Ahmar where 22 families live, Ma'an has reported. He said that the soldiers seized 12 portable solar power panels which had been donated to them for their electricity needs by the Applied Research Institute Jerusalem, a Palestinian organization which focuses on sustainability and self-sufficiency for Palestinians. During the raid, the Fatah official said, a child was assaulted and left with bruises. He was subsequently taken to a Jericho hospital unconscious. The encampment raided by Israeli soldiers is one of 21 where Bedouins live in the Jahalin area. Israeli forces have shut a number of roads into the area in the past, part of a wider effort to evict Bedouins from the area, which is close to the Jewish-only settlement of Maale Adumim. The Jahalin area is located in the strategic E1 corridor which connects Jerusalem and Maale Adumim. Israeli authorities have frequently expressed their desire to build in the area, a move that would cut the occupied West Bank in half and effectively make any Palestinian state impossible. Since early February, Palestinian activists have maintained a protest camp nearby set up in opposition to Israeli plans to displace Palestinian Bedouin families from their dwellings in the corridor. Last summer, Israeli authorities in the occupied West Bank released a series of plans that would concentrate Bedouins in two places and destroy more than 20 of their current villages. 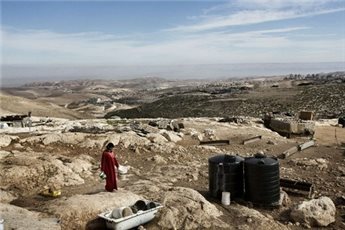 A statement released in September co-signed by 42 Palestinian, international, and Israeli organizations said that the plans "include moving Bedouins out of the politically sensitive area referred to as the Jerusalem Periphery or 'E1,' where Israel has long-intended to demolish 23 Bedouin villages in order to expand and link settlements, established in violation of international law." Israeli restrictions on movement -- in order to build Jewish settlements on Palestinian lands previously used by Bedouins or through the construction of the apartheid wall to cut through the West Bank -- have severely curtailed Bedouins' traditional nomadism.